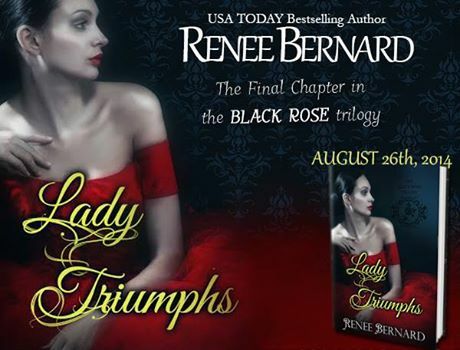 From acclaimed USA Today bestselling author, Renee Bernard, comes this new trilogy of gothic power and twisted sensuality. 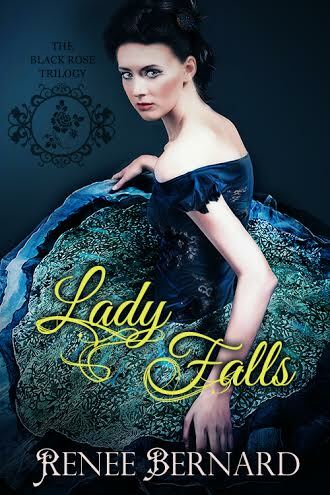 Here’s a slice of historical romance not generally found in the mainstream—so pull up a chair, settle in for a good read and hang on! 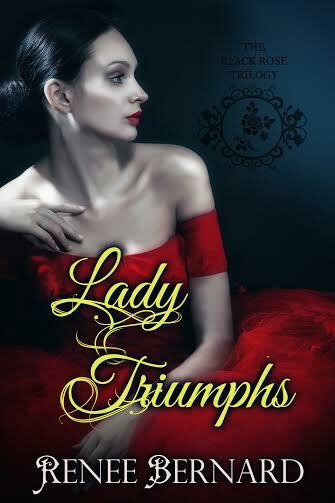 LADY TRIUMPHS is the third book and grand finale in the unforgettable Black Rose Trilogy and does not disappoint for chills and thrills as Lady Serena Wellcott (formerly known as Raven Wells) at last turns her attention to settling an old score with the Earl of Trent, Geoffrey Parke. With Phillip Warrick at her back and the lovers reconciled, it will still take every resource and wicked skill she has acquired to destroy the man who was once her trusted guardian. 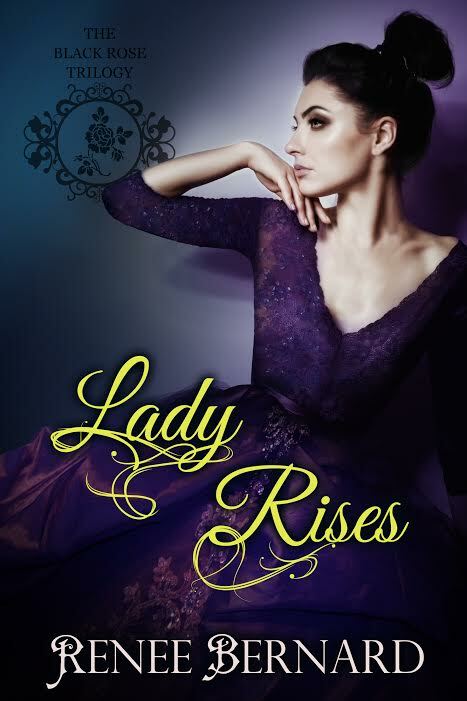 Lord Trent is no ordinary foe but Lady Wellcott has never shied away from a challenge and what’s a bit of revenge between old friends? From the glittering ballrooms of London to the shadowed servants’ passages of the ton’s grand homes, the Black Rose will weave a seductive spell until no one is safe. Phillip’s loyalty is tested to its limits as he is forced to stand aside and watch the woman he loves assume her role and identity as a Villainess with no equal. Their shared hatred of Trent is eclipsed by Phillip’s need to protect her even if the greatest danger comes from Raven herself. Their passion for each other has only grown and each sensual encounter cements the bonds that tether her dark soul to his—even when rivals appear and their world starts to unravel. The stakes are impossibly high but Serena is a fearless gambler. Every element of her upbringing and every tragic misstep comes into play. Raised for vengeance, she will return to the earl as his creation and serve him a slice of his own poisonous fruit with a smile on her beautiful lips. The Lady has planned the perfect murder. The only problem is, it will likely be her own. 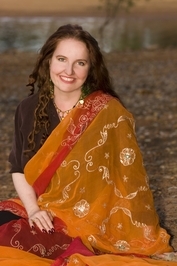 Renee lives in the foothills of the Sierra Nevada mountains with her husband and daughters, and an adequate number of cats to qualify as a romance writer. 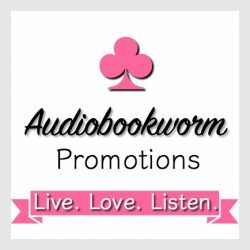 This entry was posted in Historical Romance, New Book Release, Romance, Women's Fiction and tagged historical romance, Lady Triumphs, Renee Bernard, The Black Rose Trilogy. Bookmark the permalink.